That’s all it is, Miles. A leap of faith. There are many incredible moments in Into the Spider-Verse. My personal answer? All of it. It’s just...all of it. But even among the most incredible bits, the moment Miles takes his leap of faith and swings high is the ultimate—and it’s just as good whether it’s in the film’s incredible animation style or in Lego. YouTuber Huxley Berg Studios’ latest Lego-ification of a superhero movie gives us a rad, fan-made take on the complete moment Miles gets his own proper Spider-Suit (and webshooters) in the movie, all set to Blackway and Black Caviar’s “What’s Up Danger.” And despite being in a slightly brickier form, it’s still an incredible scene to watch unfold. 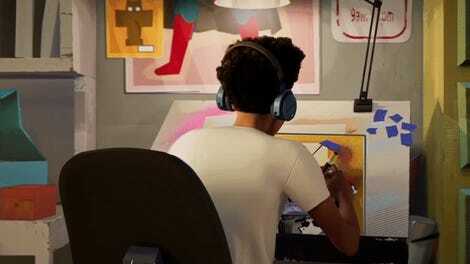 A lot of it’s helped by the fact it can lift the dialogue and soundtrack from the movie, but the animation itself is spot on, from Miles’ swings and spins to even little details like replicating the comics-esque sound blurbs that chase the young Spider-Teen as he thwips and woooos his way through New York. We’ll take any excuse to re-live this moment in any form, but in Lego it is especially delightful.